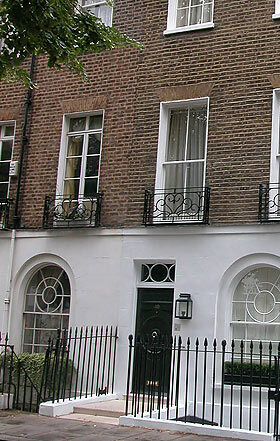 We were able to reinstate the complete front elevation including the front door and top light, ground floor arched headed window, entrance steps, and first floor balcony railings. Internally, we focused on restoring original features that remained, and retaining the original room patterns and layout. 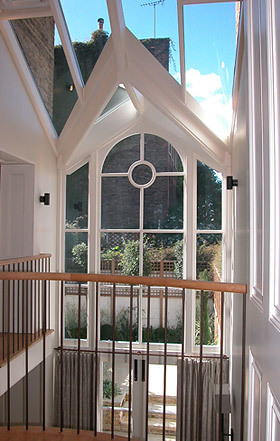 At the rear there is a new two storey timber conservatory with balconies opening onto it from the ground floor drawing room and study. The west facing garden was redesigned with new hard and soft landscaping.